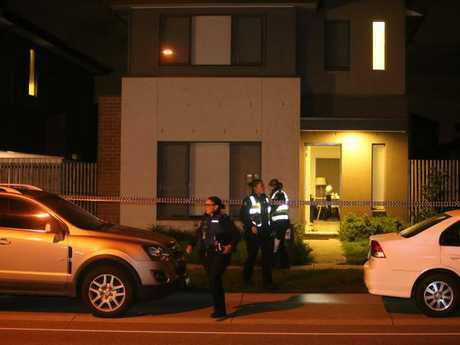 ONE man is dead and two others injured after a shooting in Melbourne's southeast late last night. 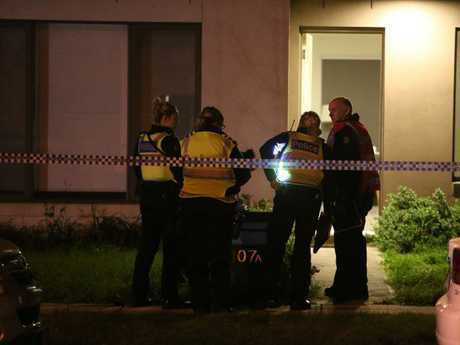 Several shots were fired at a house in Church Rd, Keysborough, with three men - all believed to be in their 20s - shot. One man shot in the chest died at the scene. Two men were taken to hospital, one suffering a suspected gunshot wound to the leg and the other to the arm. 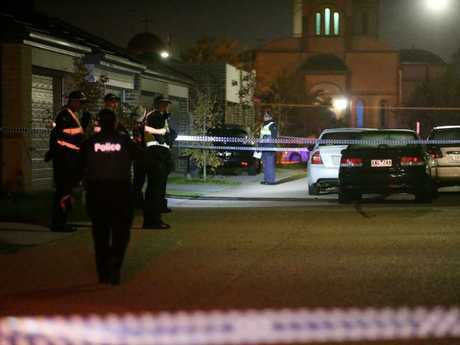 The property and surrounding area, about 40km from Melbourne's CBD, has been cordoned off with police piecing together what led to the multiple shootings. An Ambulance Victoria spokesman said this morning: "One man who was shot in the chest was in cardiac arrest when paramedics arrived. "Another man was shot in the leg. He was treated by paramedics and taken to The Alfred hospital in a stable condition. "A third man was shot in the arm. He was taken to Dandenong Hospital in a stable condition." Neighbour Andrea, who asked her surname be withheld, said she saw two cars speed from the scene seconds after the shooting. Men and women were crying as they were comforted by police, she said. "There are so many cops here, about 20 cop cars, and they've blocked the area," she said. She and her husband had looked outside their home when they heard gunshots about 9.45pm, and saw an orange or red car, and a silver car, drive away. Apart from the vehicles leaving, they noticed no other disturbance on the road and so went back inside. "Then two minutes later we heard the sirens," she said. "We came back out and there were people crying ... there was a lady in there and a man crying too. "They (police) were trying to get everyone in their houses, they were not letting anyone outside." The home which was targeted is part of a block of modern two-storey townhouses. Police were on Tuesday night searching through the laneway behind the house where the victims garage opened on to. Shotgun shells in the alley behind the home were marked off by police outside the garage leading to the victims' property. Multiple shells were found outside the home as forensic offices arrived at the scene. One neighbour, Arun, said he had heard a series of loud bangs before rushing out to see two cars speeding down his street. "We ran outside after hearing about four bangs and saw two sedans," he said. "It was right after we heard the shots and we heard screams of pain not long after. "It's a very nice suburb but there's often cars racing down the street so we didn't think much of it." Another nearby resident said they had seen a black four-wheel drive in the area just prior to hearing the shooting. Nearby resident Nick, who asked for his surname to be withheld, said he heard "five or six" gun shots. "There was literally five or six massive 'bangs' in a row," he said. "Initially, I thought it was fireworks because we get quite a lot of that around here ... but it didn't have the 'fizz' at the end, it was just straight 'bangs'. "It was quite loud - it sounded like it was in my backyard even though it is a block away." He said five police cars, followed by ambulances, were on the scene within minutes.